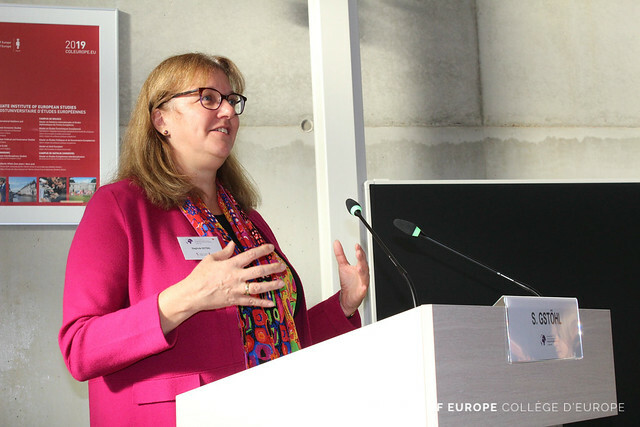 International Conference "New Developments in the Study of EU External Action"
On 5 October 2018, the Department of EU International Relations and Diplomacy Studies at the College of Europe, Bruges campus, held a conference to discuss new developments in the study of the European Union’s foreign affairs. The field of the EU external relations studies has been highly productive over the past decade, including the emergence of many interesting conceptual debates. Despite this dynamism, it still falls short of providing established theories and approaches comparable to other fields of EU studies. To better understand and explain the increasingly important external action and diplomacy of the European Union, however, suitable concepts, approaches and theories are needed not only for analytical and research purposes, but also for policy practice. This conference took stock of some of the main achievements in the academic literature on EU external action, discussed current trends and explored further research avenues. It addressed the following questions: what kind of power is the European Union in international affairs? How can the EU’s ‘actorness’ and the coherence of its external action be conceptualised? How do the Union and the other international actors perceive each other, and how are these images taken into account by those who analyse, design or implement EU external action? And what are broader theoretical trends in the social sciences bringing to the study of EU external policies? Prominent scholars presented their approaches and illustrated how these can usefully be applied to case studies of EU external affairs. The conference was opened by a keynote address on “What kind of power is the EU in international affairs?” by Professor Ian MANNERS, University of Copenhagen.